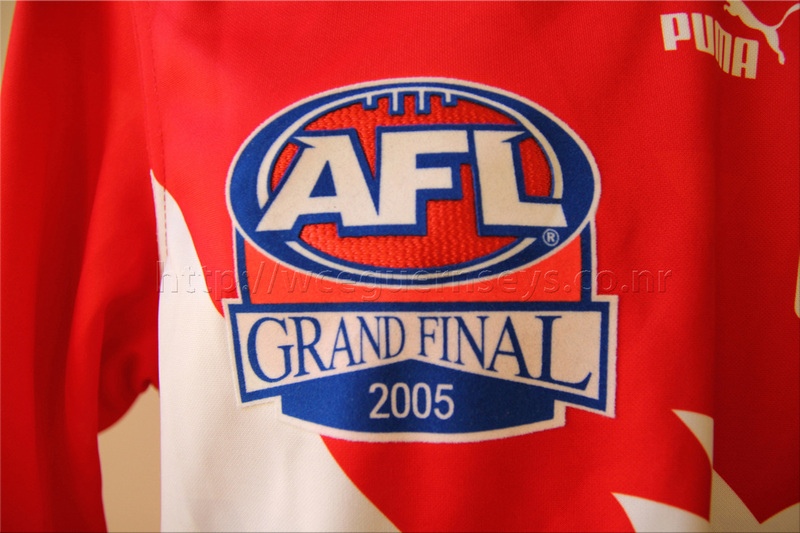 Normally I don't collect non West Coast guernseys, and really everything about this particular guernsey is total anathema to what I hold dear, but I have a certain interest in the Grand Final patch (particularly the 2006 version) so thought this was an educational addition to the collection. 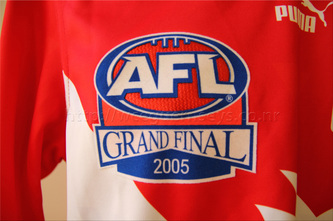 The Grand Final patch is ironed on to a normal player issue guernsey, and is '3D', with the felt parts added on top of a woven cotton red football. 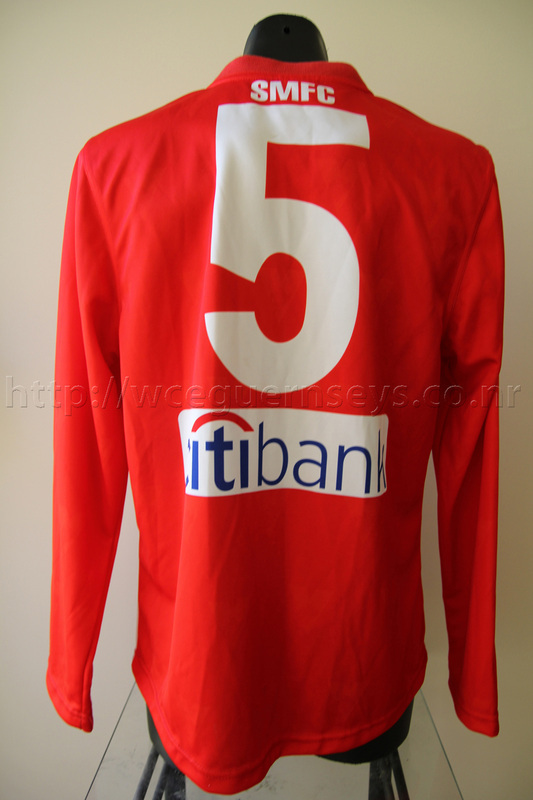 Ryan O'Keefe wore short sleeves on the day so this must have been a spare for him. This is forever open to trade for a West Coast Grand Final player issue (2005 or preferably 2006) so use the contact link at the top of this page if you have one and you're more of a Swans fan.